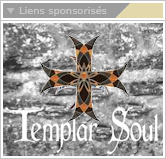 Knights of the temple is a new Templar study in two books. BOOK 1, WARFARE AND EARTHLY GLORY considers the spiritual and political ideals involved in the founding of the Order of the Temple in 1128, and broadly journeys through the history of the Order, followingits growth and its developing influence. It looks at the policies, the military triumphs and the tragedies of the Order, and it considers events in the lives of some of the key figures in the story, through to the time of Jacques of Molay almost two centuries later. This presentation provides the historical and cultural background to the confluence of traditions explored in Book 2. 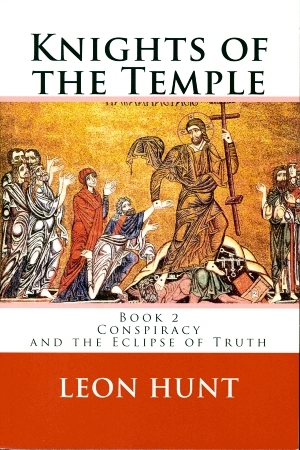 BOOK 2, CONSPIRACY AND THE ECLIPSE OF TRUTH consideres events during the time of Jacques of Molay, looking at the accusations of blasphemy bought against the Order, and the arrest and trial of the Templars. Based on the evidence of the trial, mediaeval traditions and the writings of mediaeval luminaries, it sets forth a philosophic and religious basis for the ritual practces of the Order of the Temple, and provides an analysis and reconstruction of the scheme of the Templar initiation ceremony. This entirely new approach to the subject of the knights templar shows the accusations in a fresh light and defines a solidly Christian-Byzantine-Hebraic basis for the matter 'honourable to Christ and to the Church' that Jacques of Molay offered to tell to Clement V.
Leon Roger Hunt is a student of classical and European languages, of theology and of liturgy. He is an amateur historian with a passion for the mediaeval period, particularly concerning the Military Orders: an enthusiasm which has extended over several decades and which has involved extensive literary inquiry, coupled with on-site exploration of historical Templar locations in Europe and the Middle East. He is a cleric within the Independent Catholic Movement. He has translated various medieval and later theological works for the Catholic Apostolic Church of Antioch, and has made a deep study of the spiritual traditions of the Byzantine East and of Judaism. He holds a doctorate in divinity. He lived for nine years in USA, where he worked as a publishing consultant, and where he was ordained as a priest in 1982. He also served as chaplain and Christian counselor to the residents of Lordsway Incorporated, a healing home in Minnesota, run under the auspices of the International Order of St. Luke the Physician. He currently lives in Northamptonshire, in the United Kingdom. An important early influence in his life was his friendship with the Burmese diplomat U Maung Maung Ji, who had been political secretary to Mahatma Gandhi for nine years. Maung introduced Leon to Theravada Buddhism and its sacred language Pali and to the study of comparative religion, thus guiding him to investigate the rich and vital treasury of philosophic and cultural diversity.